Does the digital world still need connectors? More than ever, says the Lapp Group. The challenges brought about by globalisation, digitalisation, sustainability, and demographic changes don't spare connectors, after all.Industry 4.0 means that production is becoming more modular and flexible. Automotive manufacturers are already trialling scenarios in which machining stations are mobile and search for the parts to be machined themselves. The question is whether this subsequently makes cables and connectors redundant. Nothing could be further from the truth. 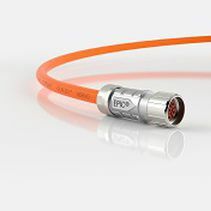 "Cables and particularly connectors will be indispensable for a long time to come. If anything, their importance is likely to increase" says Matt Ansell, Product Manager at Lapp Group UK. Even if wireless communication brings about certain shifts, it will nonetheless remain limited to specialist applications on the factory floor. Cables are indispensable for enabling machines to communicate among each other quickly and free of interference – such as for transmitting sensor data in real time – or supplying power to drive systems.